Categories: Sleepwear, Ladies Sleepwear, Silk Pajama Sets, SALES!. 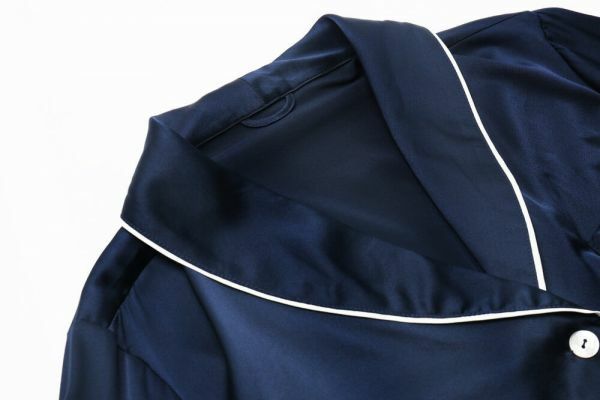 Our women’s silk pajamas are a playful and feminine twist on the classic men’s wear design. 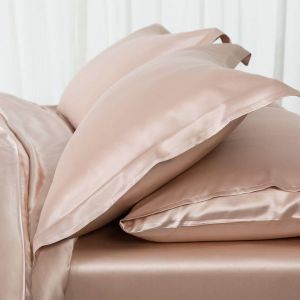 Designed exclusively for Silk Only in Australia, these silk PJ sets feature the same luxurious 100% mulberry silk charmeuse that we use in our bedding. 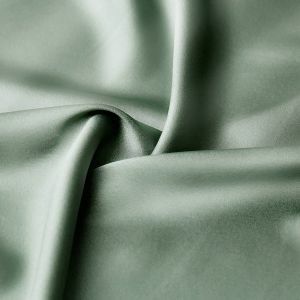 Exquisite design, impeccable stitching and detail, and the sumptuous feel of our 19 momme traditional charmeuse silk combine for unmatched value. Our women’s silk pajamas are a playful and feminine twist on the classic men's wear design. Designed exclusively for Silk Only in Australia, these silk PJ sets feature the same luxurious 100% mulberry silk charmeuse that we use in our bedding. 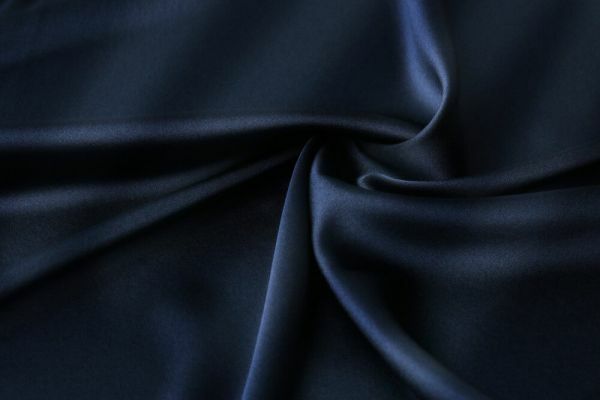 Exquisite design, impeccable stitching and detail, and the sumptuous feel of our 19 momme traditional charmeuse silk combine for unmatched value. This pajama set is both lightweight and breathable, so you’ll always look and feel great wearing our silky and cozy women’s PJs. 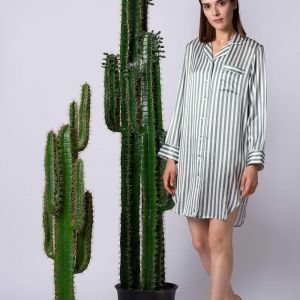 Silk’s natural properties make this an excellent pajama set to wear all year around. 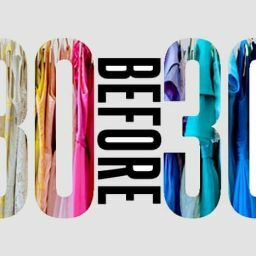 In winter or summer, your silk PJs will regulate your body’s temperature and keep you comfortable all night long. Silk pajamas for women should be chic yet easy to wear. 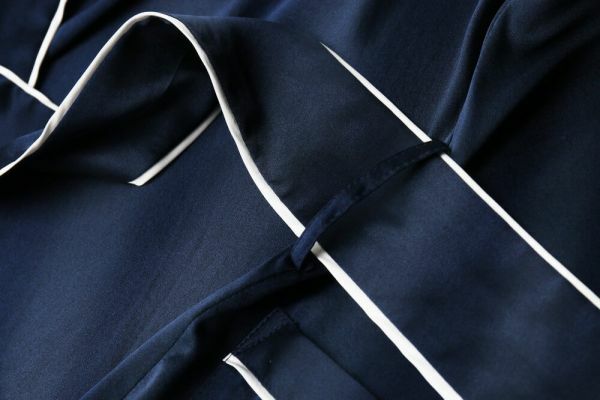 Silk Only has designed our ladies silk pajamas with the ultimate in relaxation in mind. 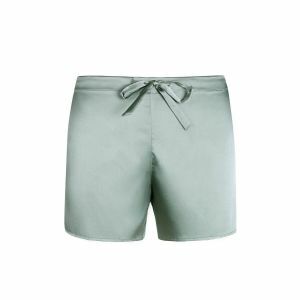 The pant waistband has a mix of an elastic back and drawstring front for comfort and a flattering fit. 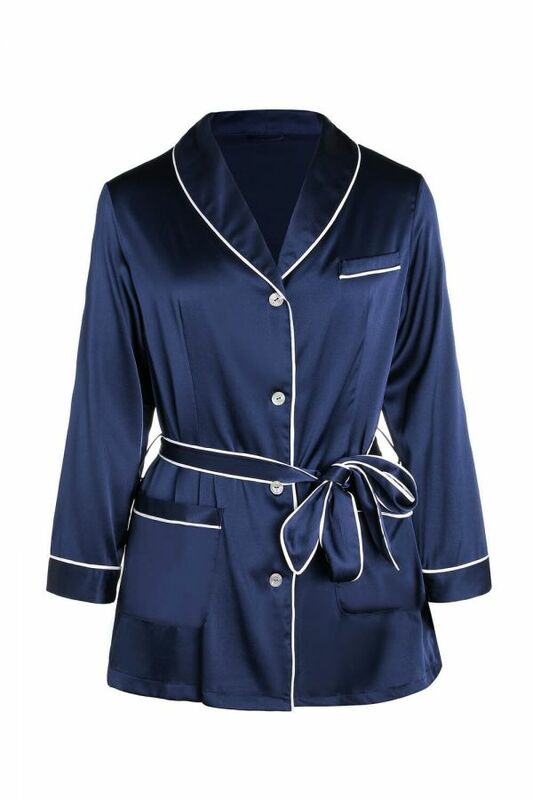 Our luxury pajamas will have you sleeping soundly, wrapped up in the finest silk in the industry. Pamper yourself, a friend, or a special someone with a luxurious and comfortable set of silk PJs. 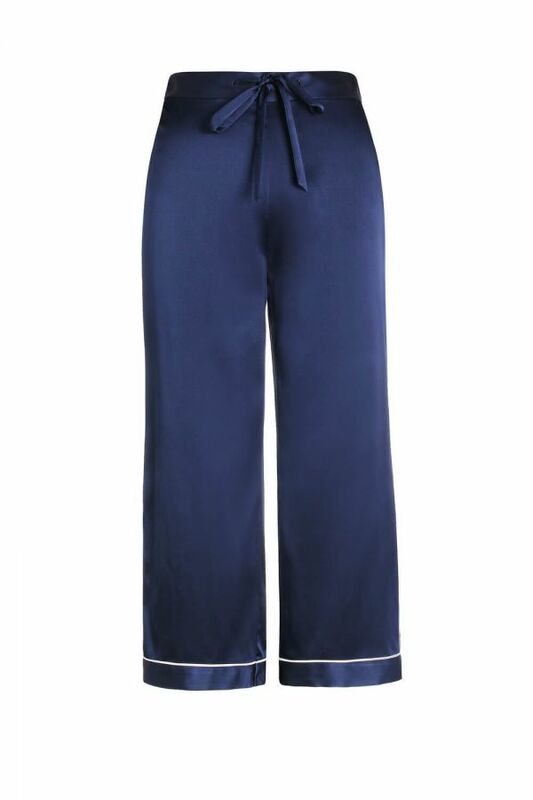 Choose from silky pajamas in two classic and clean color combinations: Navy Blue or Soft Pink.